Oh my god.Tomorrow is the regents.I'm soooooooo nervous. Please tell me the studying was worth it. 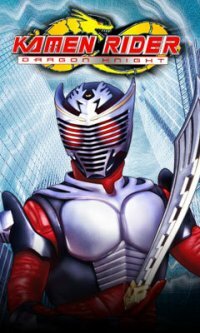 So,me and DK09's KamenFanFiction is now called Kamen Riders : Defenders Of KamenConnection.So we split up the first installment into 2 chapters because it was reeeeeealllllly loooooooong! I'm gonna share a bit more of the story. [Eubulon] So, what are you doing here? [Strike] I came to join you, Xaviax hates me now, and I need protection from him. [DK09] And we are supposed to believe you? Just like that? [DK09] Did Xaviax run out of ideas? We're not dumb! She begins putting the card in her LioVisor. [Strike] You'll regret this, Riders! I'll defeat you on my own! You and Xaviax! [Strike] I remember you, you are the lone rider. The one wants to Vent everyone! [Torque] Plans have changed…I’ve seen the good Riders have received their Survive Cards and they will be harder to fight…So join me and help me vent every rider that exists! Strike and Torque shake on it. [Eubalon] Look, being a rider is very tricky and very hard. In this world, everyone is an enemy. [CHiCA] I know that...I just wish...never mind. [Eubulon] You wish Blade2010 was a good guy? [DK09] We all did. When he Healed me and you. And protected kc1000.And when he destroyed the monsters that were going to Vent me. [CHiCA] Didn't you guys trust him? [DK09] It was all part of the plan. To deceive us. [CHiCA] before we knew all about him? [DK09] I trusted him. But things change. Gotta go with the flow. [DK09] But Xaviax needs someone in his army! He'll capture you! You cant just walk away! [CHiCA] Please. Just let me be. [Xaviax] Riders! Meet my newest creation! Kamen Rider Flash! [DK09] Oh, yeah and your idea with Blade2010 went so well! [Xaviax] He was useless. He is now happily living in the Advent Void! Kc1000 reflects the blast causing a huge fireball to erupt behind him! [Xaviax] Come, Kamen Rider Flash, we have other things to do! [CHiCA] Yeah, how have you been Eubulon? [CHiCA] Sorry guys. I have to go back to work. [Torque] Looks like you've been replaced! [Lou] She's been useless here lately, what is going on? [DK09] Oh wow, I gotta take this. Adam can tell you... bye! [Lou] So the reason CHiCA keeps disappearing is because…? [Adam] Um...she's been...kinda busy...with stuff. [Lou] Well that "stuff" has cost her her job. Now leave! [Lou] I fired you, Kosaka! Now leave! Adam and CHiCA leave and meet DK09 outside. [CHiCA] You guys were expecting to find me here, were you? [CHiCA] Actually, I'm glad I got fired. Lou’s such a jerk! [DK09] Yeah, he sure was! They hear a portal opening. [CHiCA] The alley! There’s a mirror there! [DK09] This guy wants a serious Venting! [CHiCA] Well he's gonna get it. Let’s do it! [DK09] What happened to her?! ?